Cosmic Girls x Weki Meki's upcoming unit WJMK have dropped a new group teaser image. Cosmic Girls' Seola and Luda as well as Weki Meki's Kim Do Yeon and Choi Yoo Jung are grouped up in blue, which is another angle to their previous green playground concept. 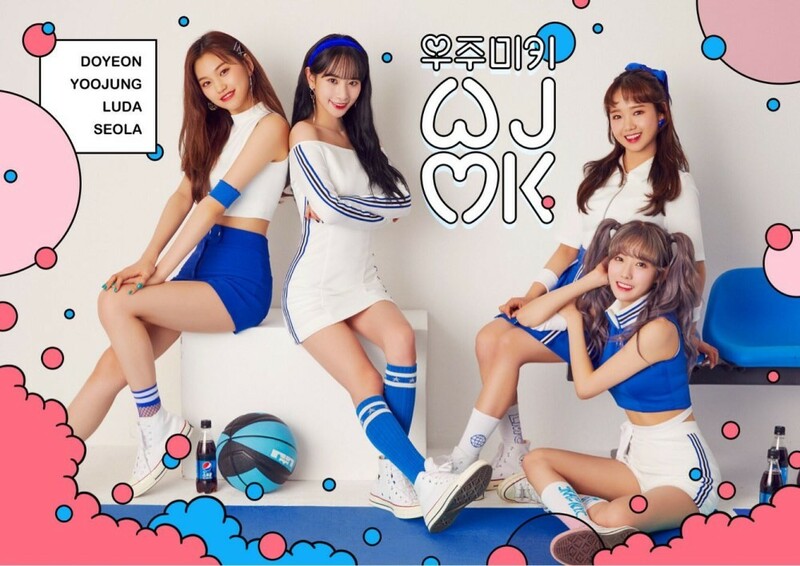 As previously reported, the concept of the unit will be 'cutie crush,' and their labels have revealed WJMK will be debuting in June.